I have neglected my nails quite a lot this summer and over the past year and I really want to make sure they are looking nice for the autumnal months. Over the summer I had a stretch of using false nails to make my nails look pretty for some of the events I had gone to, and so I really want to get into painting my nails more this autumn as I always loved having pretty nails, but fell out of love with painting them last year. 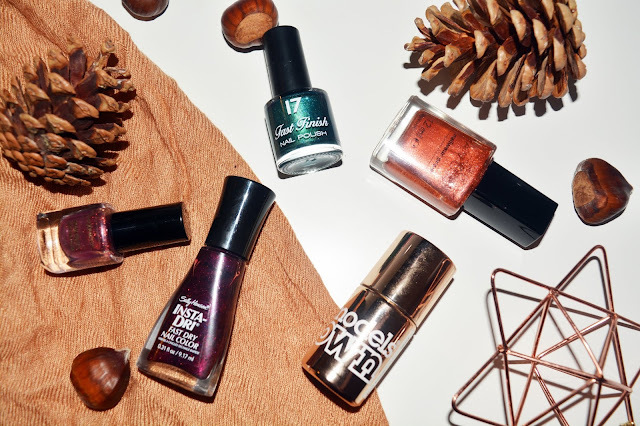 I thought getting out a few nail polishes in autumnal shades would make me want to paint them more and so I decided to share the colours I am reaching for with you all today. 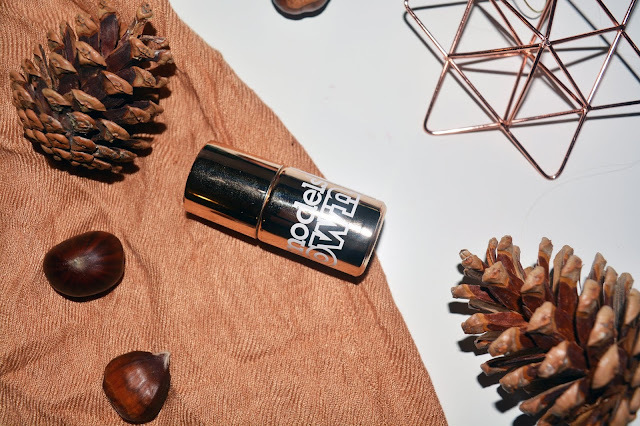 The first shade range I like to go for are metallic tones. I have quite an extensive nail collection which has been neglected for quite some time, so I want to show more love to the products I have before buying more. I pulled out two shades that fit into the metallic range, my first one is a copper shade call Lucky Penny from Avon. This is a really bright orange toned copper that is so pretty reminds me of the copper tones leaves that change and carpet the pavement in autumn. I find the subtle shimmer gives it a lovely depth and dimension when on the nails and catching the light and I think it is a beautiful colour option to brighten up the dull autumn mornings. A second metallic shade, but with a more muted toned, this is Models own Chrome rose. 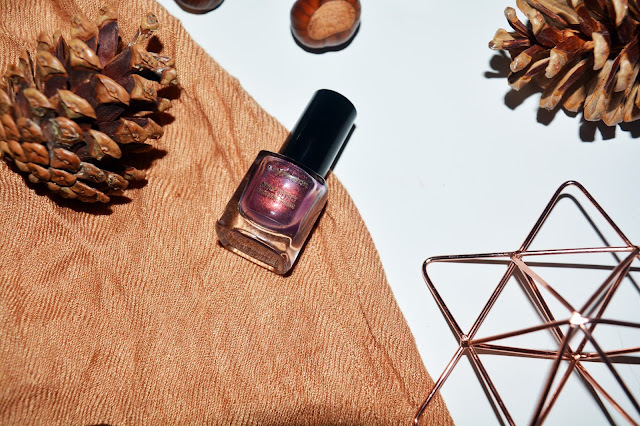 As the name suggests it is a rose gold toned polish, it is a very subtle muted rose shade with the metallic elements of the gold peaking through. I think this is a lovely soft colour that fits into more of the neutral nail shade category without being grey or a bland beige. I love a deep berry tone for my nails, as much as I love a red, the classic berry shades out shine the reds this time of year and I can't help but love a berry tone. In my collection I have a Sally Hansen nail polish in Ruby Rush. Though the name suggests a more red tone, this is a beautiful deep cranberry shade with a lovely slight gold shimmer. 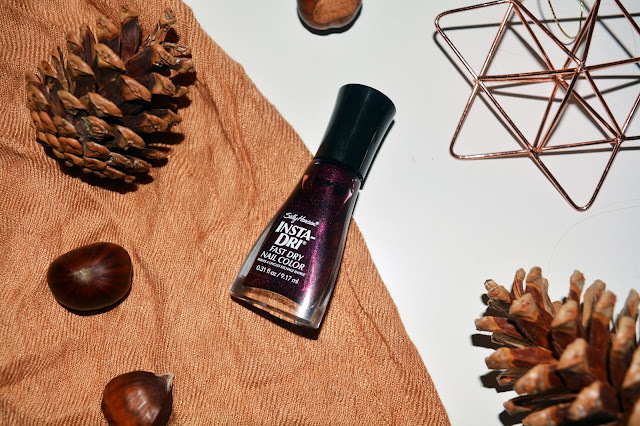 I love the rich deep tone of the polish and when I want a darker toned polish this really hits the nail on the head for autumn. An unusual pick for me, but one I feel will be a colour I gravitate towards this autumn is deep green tones. Sadly 17 is no more in Boots and it disappeared as a brand this summer, however many of their nail polishes live on in my collection. The shade Sulk has a bit of a blue tone to it and so it isn't as true green as some polishes could be, but I have also always been on the fence with green and never sure if it suits me... The more I wear this the more I want a true forest green in my collection so I might browse the shelves for one and get one to join my collection and keep updating it. I love that it is a little different for me and really makes me push my style a little more. Now. this one is a throwback. I don't know how long I have had this polish but it is one of my all time favourite shades and I don't think I will part with it till I have literally scraped the last drop from the bottle. 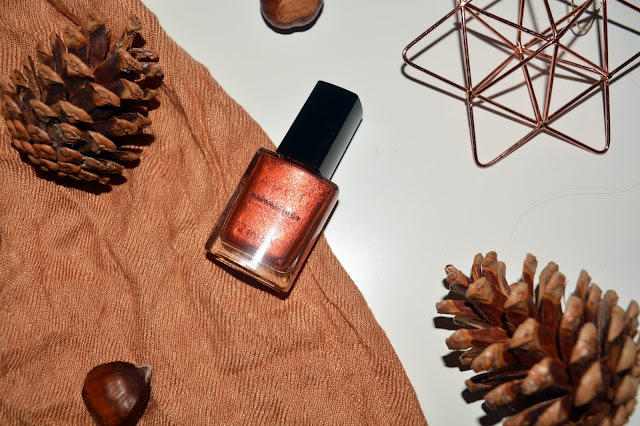 This is Max Factor Fantasy Fire nail polish. This is a purple base colour with a rainbow of colour sweeping over the shade as the light catches it. 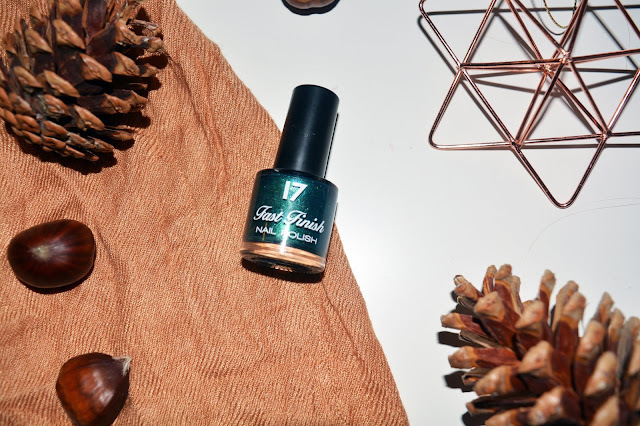 From rich blue, through green, orange and red the shimmer in the nail polish glows a rainbow of colour and is stunning on the nails. While this is a long forgotten nail polish in the beauty world, even a scour of eBay and Amazon turned up no gems. If you are luck enough to have this lurking in the depth of your collection, pull it back out, Its such a beautiful, nostalgic colour! 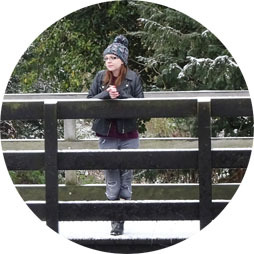 I hope you have enjoyed seeing my nail polish picks, I have loved sharing them with you and I am really pleased to be painting my nails again and keeping them looking pretty! I would love to know your go to shades this autumn as it has been so long since I bought new nail polishes I wouldn't know where to start!